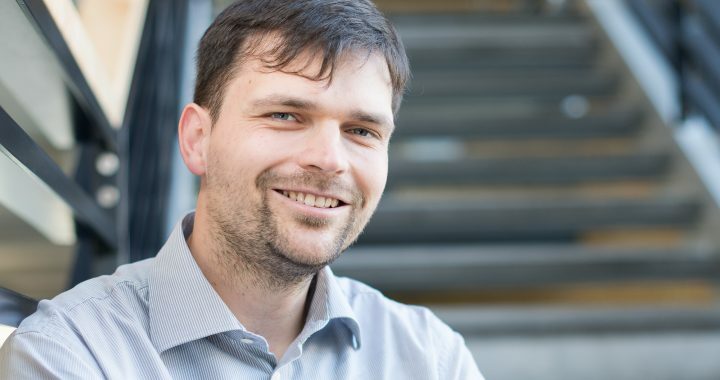 Junior Professor Matthias Höhne from the University of Greifswald has been awarded a “Starting Grant” from the European Research Council (ERC). He teaches and researches at the Faculty of Mathematics and Natural Sciences’ Institute of Biochemistry. Together with his research group, he discovers and improves new proteins, which are used as biocatalysts for chemical reactions. This makes it possible to produce active ingredients for medicine under particularly mild and environmentally friendly conditions. In the project that has now successfully been granted by the ERC, he aims to produce enzymes that use light as an energy source and catalyse new kinds of reactions that are not observed in nature and which are of particular interest for the chemical and pharmaceutical industry. The European Research Council (ERC) is this year investing 1.8 billion euros throughout the EU to support cutting-edge researchers in the realisation of innovative and high-risk projects. With its ‘Starting Grants’, the ERC supports excellent junior researchers with up to 1.5 million euros so that they can pursue their research concepts with a large team over the course of five years. ‘This is a fantastic opportunity for me to realise my scientific ideas,’ says Junior Professor Höhne, who, in summer, managed to convince the expert panel in Brussels to fund his project proposal, in face of a highly competitive selection procedure. Enzymes are truly amazing: They don’t just decompose our ingested food into separate parts, but also enable and control nearly all of the chemical reactions that occur in our cells. And this all happens under very mild conditions. That’s why biotechnologists are increasingly using enzymes for synthesis in the chemical and pharmaceutical industry. Products that are biotechnologically fabricated – in particular pharmaceutical active ingredients – can therefore be produced under more environmentally-friendly conditions. For this vision to come true, a lot still needs to be done. ‘In my research group we are searching for new enzymes that are not being using yet for chemical synthesis. Although there is a huge number of different natural enzymes, the spectrum is actually limited. My ERC Starting Grant Project LightZymes: Evolution of artificial enzymes for light-driven reactions gives me an excellent opportunity to discover unknown territories: I plan, together with my team, to create ‘artificial proteins’ that catalyse unnatural reactions and use light energy in the process to enable the reactions,’ says Höhne. To optimise the proteins, we will use protein engineering methods. To start with, computer-aided modelling will help to design the first proteins. Then, thousands of variants will be produced through genetic, partially coincidental mutations. This pool of variants will then be scrutinised by Höhne and his team, using automated measuring instruments, to find the best biocatalysts. ‘It’s a bit like Creation and evolution in the laboratory. On the one hand, we use scientific knowledge and creativity and on the other hand, there are surprises born of coincidence. That all usually leads to a very fruitful mix,’ says Matthias Höhne. Junior Professor Matthias Höhne studied Biochemistry in Greifswald and after finishing his doctorate under the supervision of Prof. Dr. Uwe Bornscheuer, he went to Heidelberg for his postdoctoral research. In 2012 he became Junior Professor of Protein Biochemistry at the Institute of Biochemistry in Greifswald. Within five years, he has successfully managed to create a group, which currently has six doctoral candidates and carries out fundamental research, but also practice-oriented projects together with industrial partners. Posted in Posts, PSA and tagged psa.